Samsung is expected to launch the Galaxy Note 9 smartphone sometime in August 2018, but a new report from Korean media cites that the flagship smartphone will be announced way earlier than the company’s trend of launching new Note smartphone every year. The reason behind the early arrival of the Note 9 is the poor sales of the Galaxy S9 duo. Unlike last year, Samsung isn’t receiving great reception for the Galaxy S9 and the S9+ because they largely remain the same in terms of looks and users are satisfied with the cheaper Galaxy S8. And the current users of the Galaxy S8 are not interested in upgrading to the newer models. Also, the Galaxy Note 9 with model number SM-N960U earlier today paid a visit to benchmarking site Geekbench. The smartphone is fuelled by the Snapdragon 845 SoC and achieved a single core of 2190 & multi-core score of 8806. The phone was running Android 8.1 Oreo at the time of benchmarking and has 6GB of RAM which isn’t a surprise. Well, isn’t it surprising to see Galaxy Note 9 visiting benchmarks already? That’s what the South Korean publication The Investor says the Galaxy Note 9 will launch much earlier than the scheduled time. 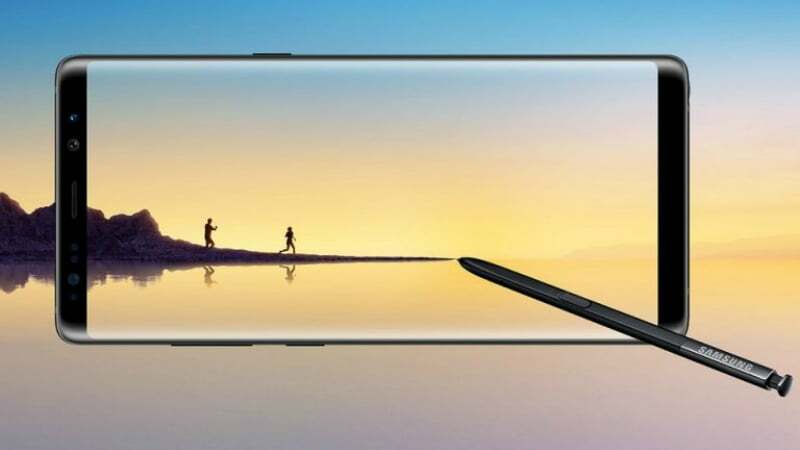 The Galaxy Note 9 as it rumoured earlier will not feature an under-display fingerprint scanner, and users still have to settle down with the physical biometric sensor. And Apple is rumoured to preparing three iPhones this year, which is another reason why Samsung is planning to launch the Note 9 earlier. The Samsung Galaxy Note 8 was not a successful smartphone for the South Korean company, but the delayed sales of the iPhone X forced users to pick it, and Samsung was able to register good numbers. It will be interesting to see what Samsung is cooking for the Note 9. The variable aperture tech from the Galaxy S9+ will surely trickle down to the Note 9, but what else should Samsung add to make it a successful smartphone. slowly all these manufacturers are going to hit a ceiling in terms of software and hardware.Theres only so much one can do on a phone i guess.The idea should be to look into stuff similar to the now defunct project ara.